The Irish are renowned for their unrivaled capacity to spin a yarn and tell a story. They have a singular gift for gab and delight in the art of conversation. Being Irish means finding both humor and insight on life�s roller coaster ride of highs and lows. Indeed, the Irish narrative is chock-full of wit, fellowship, and merriment, but it is also deeply rooted in a revolutionary past of severe hardship. This volume is an Irish treasure trove of words and sentiments for any and all occasions that both entertains and informs. 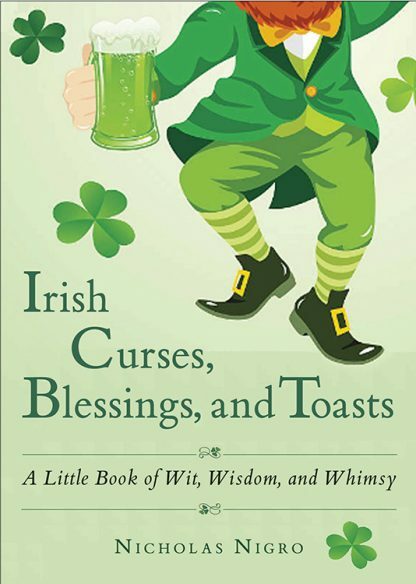 Here are over 500 quotes that fall into the following categories: Blessings and Toasts; Drinking, Humorous, and Specialty Toasts; Saint Patrick, Saint Brigid, and Special Prayers, Curses, Proverbs, and Sayings; Poetry and Rhymes; He Said, She Said; and Ballads and Songs.